Note: Mild spoilers for And I Darken, Book 1 of the Conqueror's Saga, below. If you haven't read And I Darken you can read my review HERE. No one wanted to love Now I Rise more than I did. However, White's middle novel in this series is definitely a weak link, IMO. It picks up not long after where we left off--Lada trying to win the throne of Wallachia and Radu faithfully serving Mehmed--and though I immersed myself in this story completely at first, after a quarter or so I began to slow down. I struggled, or at any rate pushed myself, to continue to at least the half-way point of the story. For me, Radu's perspective is where the story constantly lagged for me. Although And I Darken was split between the two siblings, it felt like Lada's tale through-and-through. It's important, then, in this sequel that Radu has his own story separate of Lada. But, Radu's perspective was bogged down by a lot of repetitive thinking; his thoughts cycled through an endless stream of insecurities regarding his friendship with Mehmed, how the outside world perceived their relationship, and his own jealousies. It was tiresome. I think a large part of this is because Mehmed is a character I don't like or respect all that much, so it becomes difficult for me, as the reader, to understand or sympathize with Radu's struggles. I will say, though, that Radu undergoes a lot of interesting change in this book and the impacts of that aren't felt, or won't be felt, until the finale releases. And I am so on board and excited for that! But, in this book, Radu left a lot to be desired and I couldn't always understand his motivations or sympathize with his plight. My frustrations with Mehmed, though, extend to Lada's half of the story, too. But, with Lada, things are always so simple. I always understand why she chooses a particular path and I fully support her decisions, rash though they seem. Lada's story in Now I Rise is remarkable, badass, and awe-inspiring. I love that this book forces her to look at women in a different light, in a lot of chapters, and I especially love that she uses her skills and power to empower other women. I love that Lada notices and cares for the women because no one else does. 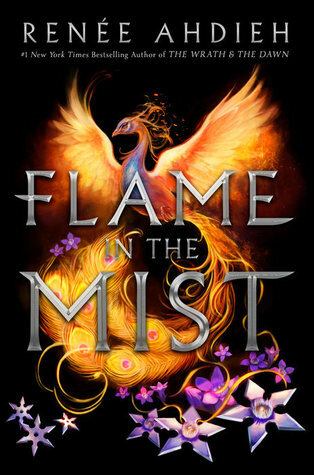 I am so excited to see where the sequel takes Lada and so proud of how far she's come. I especially enjoyed that, for perhaps the first time, we see Lada miss Radu. We see her acknowledge the skills he has and how she is less without him. We all too often see that with Radu but not enough with Lada and I loved that though these siblings have such complicated feelings for one another and are separated by so many miles, they are still in each other's thoughts. 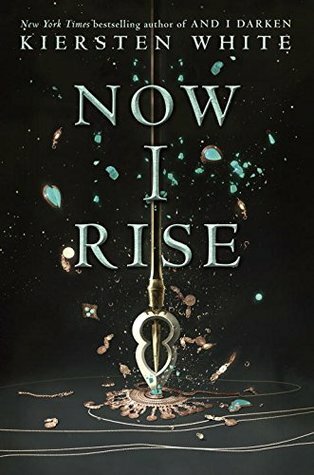 Unfortunately, something about Now I Rise just didn't "click" for me but I'm absolutely on board for the sequel and cannot recommend this series enough. It's not a favorite for me, but it's still incredibly unique, creative, and badass. If you haven't already picked up this series, don't wait! You'll want to be all caught up for when the final novel releases, trust me. The weakest part of Since You've Been Gone is its beginning. 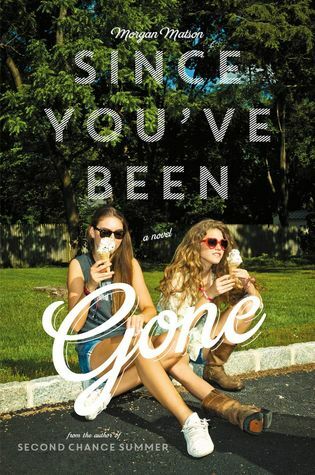 From the start, this novel feels all too much like an ode to a Manic Pixie Dream Girl, Sloane. Our protagonist, Emily, is shy--she lives in the shadow of her best friend, Sloane, rather happily, content to follow in her footsteps and stretch her limits, but only just barely. When Sloane up and disappears in the beginning of the summer, Emily is lonely and lost--why did Sloane leave? So when Emily receives a list from Sloane, she's determined to finish it--to cross off every item on the list, no matter how scary--because maybe, just maybe, it will bring her closer to Sloane. I really enjoyed this novel. Not as much as Matson's latest, The Unexpected Everything, but pretty darn close. Emily is the type of protagonist I can get behind--reserved, confused, but determined to push forward. I mention that the beginning of this novel is the most difficult to get through but that's because Emily is still a shell of a person. Not only is she fixed upon an idea of herself that is inexplicably linked to Sloane, but she remembers Sloane as a Wild Thing, full of life and light. I'm so tired of that romanticized Manic Pixie Dream Girl who seems to float through life effortlessly but is secretly hiding a deep pain. But, the story quickly changes direction, becoming more about Emily and less about Sloane. It's easy for me to read this book with a heavy dose of disdain, only because I am no longer the shy, reserved teen I used to be. Perhaps if I had read this when it released two summers ago I would have been shocked and inspired by Emily's dares to go skinny-dipping or wear a backless dress. After two years in college, I am quite the different person and I found myself both sad that Emily--and Past Me, really--was so reserved and proud of the growth that Emily undergoes throughout this novel. She finally finds herself--who SHE is--without Sloane or anyone else to define herself by. It's so hard and so important to tear yourself away from the friends who "know" you and really know yourself on your own and I appreciate that Matson puts so much emphasis on that. The friends Emily makes are unlikely, from class president Frank to his desperate-for-a-girlfriend cousin and Dawn, the girl who works at the pizza place around the corner from Emily's ice cream store job. Each of them shape her and motivate her in different ways and I always like how Matson's novels feature lots of time for growth and simple interaction. Emily's family is eccentric and her younger brother is daring and though she doesn't have any issues with them, I enjoyed how they were incorporated into the story in a meaningful way. And, of course, the romance. Morgan Matson writes the perfect slow-burn romances and this one was no different. Frank and Emily start off as friends and they don't even realize when they begin to blur the line between best friends and something more. It's a little messy because Frank has a girlfriend, but fear not, the drama is minimal. What I enjoyed most about their friendship is that it's not just Emily who is re-defining herself this summer; it's Frank, too. We don't have as much of a insight into his psyche as we do Emily's but I really enjoyed how Emily went from thinking of Frank solely as class president or by his accolades and instead began to see him as a person. My one qualm with this novel remains Sloane. We see her through Emily's eyes for almost all of this novel and she is painted as the classic Manic Pixie Dream Girl (as I've mentioned). By the end, though, there are a series of events that catapult us to learn more about Sloane--the full extent of her affection for Emily, her "secrets", why she moved, etc.--but I felt as if it was too much far too quickly. I wanted more time to process Sloane and her friendship with Emily before this novel abruptly cut to an end. Moreover, I felt as if there were a few dangling threads and while I can guess what would have happened, it would have been nice to get an epilogue or just a little something more after such a huge bomb is dropped in the last couple of chapters. I think it's safe to say, though, that I've found a new fave in Morgan Matson. Though this isn't a favorite of mine, I thoroughly enjoyed this novel and would recommend it without hesitation. It's a thoughtful look into re-defining who you are and I'm sure that if I had read this a few years ago I would have been floored. Present Day Me is a little more mature and a lot more extroverted so while I can still appreciate this book, I won't be clutching it to my chest with tears. But, regardless of where you are in your life, give this one a try--I don't think you'll regret it. For those of you who have missed it, this past week has been Scholastic's annual 'I Read YA' Week! 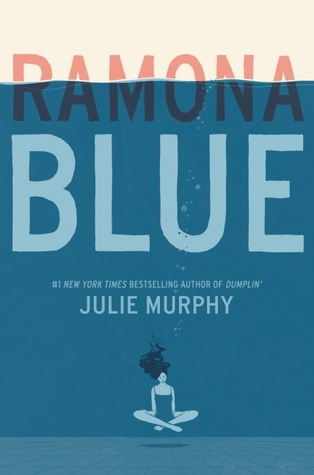 The fabulous team over at Scholastic invited me to participate in this event and today I am joining the campaign with one of their Daily Social Challenges, today's being a YA book everyone needs to read. As an avid reader, it's impossible for me to pick just one YA book I think everyone needs to read. 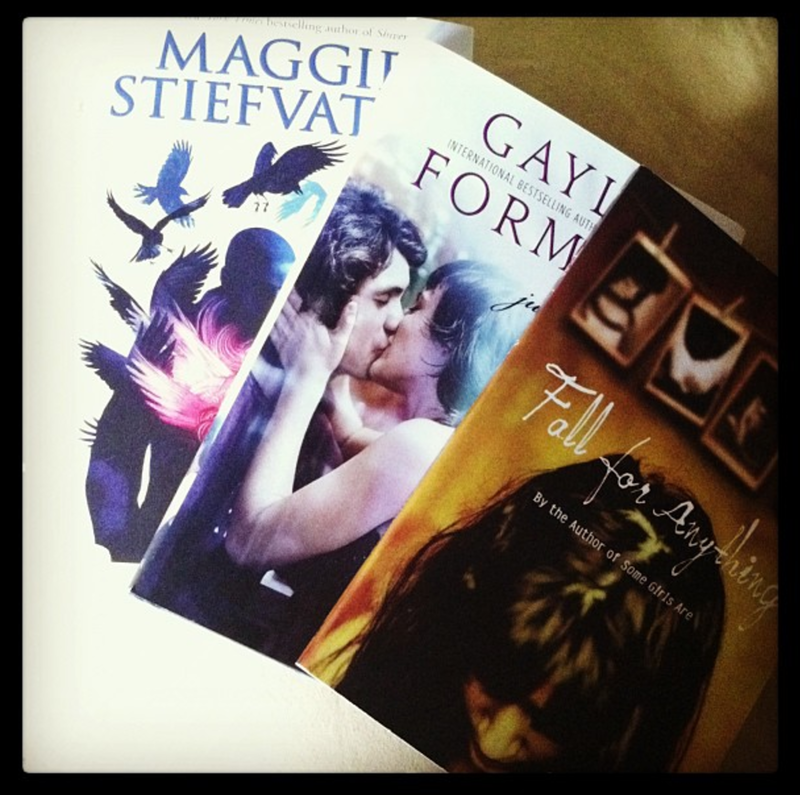 Thus, I'm pulling out this photo of some of the YA books--and authors--I think everyone needs to read. First up? Courtney Summers. Summers writes dark, gritty books that seep into your soul. They touch upon the viciousness of high school, the cruelty of teenagers, the darkness of grief, and the mad world that women are forced to navigate. I truly believe that anyone who picks up her novels will find something to relate to and it's impossible not to become caught up in her writing and the general atmosphere of her books. She is, by far, among the most under-rated and magnificent YA contemporary authors that we have. Next? Gayle Forman. I love Forman's If I Stay and Where She Went duology (and even her standalone I Was Here) but I love Just One Day and in particular, Just One Year, even more. I love that this duology is about travel and romance and finding yourself. The first book is entirely about Allyson, who spends a whirlwind day with a near-stranger she falls for and then discovers herself, changing her life in the process. The sequel is about what happens to that near-stranger and his path navigating familial expectations and the world at large, from different countries and corners to others. It's deeply moving and wildly inspirational. Finally, Maggie Stiefvater. My favorite Stiefvater novel is The Scorpio Races which is simply beautiful, but I think her Raven Boys series is a must-read. It's wonderfully compelling, the friendships and relationships tugging on heartstrings, and it's magically innovative. I read a lot of fantasy/supernatural novels and its unlike anything I've come across before. For me, more than the Raven Boys being a must-read, Stiefvater is a must-read; her books capture the teenage spirit in all its complexity so perfectly and her writing is sublime. I could wax poetry about a dozen other YA novels, but the ones I really believe everyone should read--and especially those who believe YA doesn't have much to offer--are the books written by Courtney Summers, Gayle Forman, and Maggie Stiefvater. What are the YA books you think everyone needs to read? I had such a hard time picking just these three but I'm always on the lookout for more recommendations! It's finally SUMMER! I love this season!! 1. 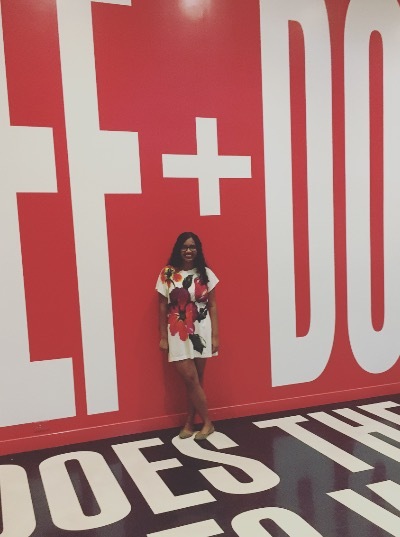 I moved to D.C. and started my summer internship! The internship has been slow so far but I'm loving D.C., am meeting so many friends I haven't seen in roughly a year, and I really like my co-workers. I'm hoping to get more work to do and have a meatier project to work on as the summer progresses, but so far, so good. 2. The blog turned FIVE this month! I can't believe it's been five years!!! Thank you so much to everyone who has read my posts, commented, and supported me--whether you've been with my from the start, become my friend on Goodreads, or even just recently begun to follow me, I cannot thank you enough. I couldn't have continued this blog all these years without your support and I am so very grateful for everything. 3. I am in a reading slump. June has not been a good reading month, sadly. I discovered a new historical romance author and managed to fly through a bunch of romance novels, but any other books I tried to get into, I simply couldn't. I've also been oddly restless since I'm not traveling practically every weekend and that has me in a weird mood, just missing travel and wanting to do more of it and not being able to just sit and read. Hopefully July is better! I barely read anything this month, but it's a definite tie between these two historical romances. 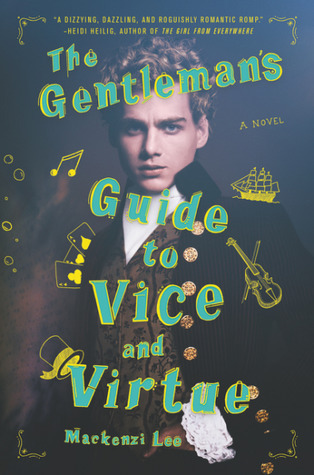 They both subvert typical gender norms, are delightfully amusing and heartbreaking in equal parts, and I highly recommend both these authors. Hoyt is new-to-me but I am already a fan and of all the books I've read of hers this past month, easily more than five or six, Notorious Pleasures is my favorite. I loved this book and I'm so happy it was the most popular post I wrote this month. I really want more readers to get out of their comfort zone and pick this one up because it's funny and fantastically diverse but also unique and its plot will keep you up until you've turned the last page. I loved this book, so much more than I thought I would have, so I really hope more readers check this one out. It's so well-written and touches on subjects that often get left out of YA--interracial relationships, protagonists from poorer socioeconomic classes, etc.--and it's exactly what I look for in Contemporary YA. I also love that watching this in 2017 means that I find the show so diverse and progressive, but then I have to remember that these episodes aired in 2005/2006 and I am so impressed by the diverse cast, the emphasis on strong female role models and people of color and respectful relationships and discussions of trans issues. It's fantastic and I cannot recommend this show enough. 1. Fourth of July! I'm so excited to be spending 4th of July in D.C. this year! My roommates and I are going to attend the fireworks over the National Mall and I am sure it's going to be beautiful. 2. Family! I'm going to New Jersey for a brief visit the weekend before my younger brother's birthday and the weekend after, my family is coming down to visit me in D.C. for another short weekend. My grandmother just flew in from India so I'm mostly excited to see and spend some time with her but seeing family (and eating home-cooked food!!!) will be a nice change. Any fun 4th of July plans? What were the highlights of your June? Any recommendations for books that can get me out of my slump? I'd love to hear in the comments below!